Shopping for an electric vehicle also means rethinking your approach to refueling and how far the car can travel between charges. And you'll need to learn about charging, electric rate plans, and EV incentives and rebates. Even though electric vehicles account for just a fraction of overall car sales, they are slowly gaining favor with buyers, particularly as second cars for daily commuting. While you’re researching EVs, you’ll deal with the usual considerations, including price, comfort, cargo space and handling. Edmunds’ Best Electric Cars guide can streamline the research. Shopping for an EV also means rethinking your approach to refueling and how far the car can travel between charges. And you’ll need to learn about charging, electric rate plans, and EV incentives and rebates. It’s manageable, though. You’ll find online resources from carmakers, utility companies, EV owner forums, government agencies and EV advocates such as Plug In America. Most EV owners charge at home. To power up faster, invest in 240-volt, Level 2 electric vehicle supply equipment (EVSE). Dealerships can set you up with both the EVSE and installation, or you can shop online and possibly get a better deal. An average cost for the system and professional installation is about $1,750, but it varies by region as well as the specific location of your electrical panel. This figure doesn’t include the cost of any permits or upgrades that your electric service might need. Get estimates of these costs before you finalize your car deal. A good source for home charger information is GoElectricDrive.org. Visit your utility company’s website to see what charging plan will work best for you. Utilities in areas that are popular for EVs have plans that make charging affordable. Conventional wisdom says that EVs are impractical if they don’t deliver the range of a conventional car. The figure that’s often cited is 300 miles. But that’s gas-car logic, says Dan Edmunds, director of vehicle testing for Edmunds and an EV owner. Let’s assume this is your second car, as is most often the case. If you plug in overnight with a Level 2 home charger, all you need is a car capable of meeting your daily driving needs. More range requires bigger batteries, and they raise the price of the car significantly. 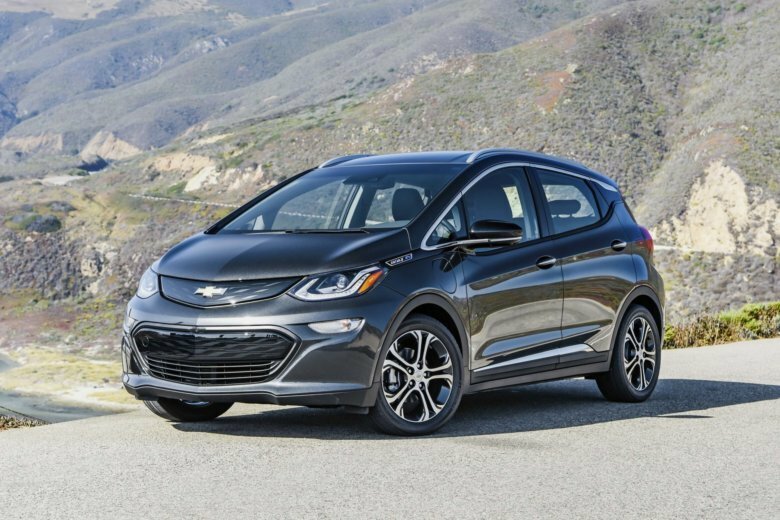 Here are some affordable EVs that deliver 100 miles or more on a charge (prices include destination fees): the 2019 Chevrolet Bolt (238 miles, $37,495); the 2018 Nissan Leaf (151 miles, $30,875); the 2018 Hyundai Ioniq Electric (124 miles, $30,385); and the 2018 Kia Soul EV (111 miles, $33,145). — An EV is inherently quieter than a gasoline-powered car because its electric motor is dramatically quieter than an engine. But you should still observe how quiet the car is on the highway. Cut the conversation, keep the windows up, and turn off the radio. — Take time to review the car displays that let you monitor the battery, charging and energy usage. They can help you maximize range. Also inquire about smartphone apps that let you check on your vehicle’s charging status. — Get a feel for regenerative braking, which can slow the car significantly as soon as you lift off the accelerator pedal. Most EVs have driver-adjustable levels of regenerative braking, so it might be worth checking your test car to find out which mode it’s in. While there are lots of incentives and rebates for EV buyers, the federal EV tax credit of up to $7,500 gets the most attention. This credit, however, begins to phase out after manufacturers sell 200,000 qualifying EVs. Tesla hit its 200,000 mark in July, so you would have to take delivery of a Tesla vehicle by December to be eligible for the full credit. GM is expected to sell its 200,000th qualifying car early next year, so Chevrolet Bolt buyers should be poised to act soon, too. Remember that the federal credit is not a discount or rebate. You have to qualify for a car loan and make payments based on the full amount, then file for the credit on your return. A way to avoid the tax-credit hassle is to lease the EV. When you do that, the dealer takes the tax credit and applies the savings to your deal. Leasing also shields you from the tendency of electric vehicles to lose more value than conventional cars. Some of the factors depressing EV prices include heavy new-vehicle incentives, low demand and the rapid pace of technological advancements, making new models more attractive. Edmunds says: EVs are steadily becoming more amenable to everyday use. But it’s still vital to study up before you buy or lease one. This story was provided to The Associated Press by the automotive website Edmunds. Carroll Lachnit is a senior consumer advice editor at Edmunds. Twitter: @clachnit.